Over the 24 weeks pre-apprentices will complete various different units which develop them as a coach and as a player. 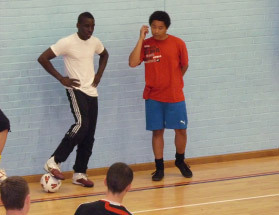 The support comes from the Football Club which assigns a coach/mentor to each pre-apprentice. This support helps guide the apprentice through the duration of the course. club in the local community firstly working alongside a qualified coach, then moving onto planning, leading and reviewing sessions, whilst being mentored and observed. 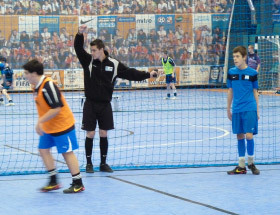 Training is designed to develop the apprentice’s interaction skills with others and give them the knowledge and understanding of everything that is required within the coaching department at a professional football club. The pre-apprentice is seen as a club employee, so will be expected to work and conduct themselves in a professional manner at all times. Being part of the club comes with various benefits, possibly including tickets for first team fixtures and club coaching kit. Thanks to this programme I’ve just been offered a job as an assistant coach at a local primary school.